As with most countries, Japan doesn’t really celebrate it (it isn’t a national holiday), except for in Chinatowns (like the big one in Yokohama). 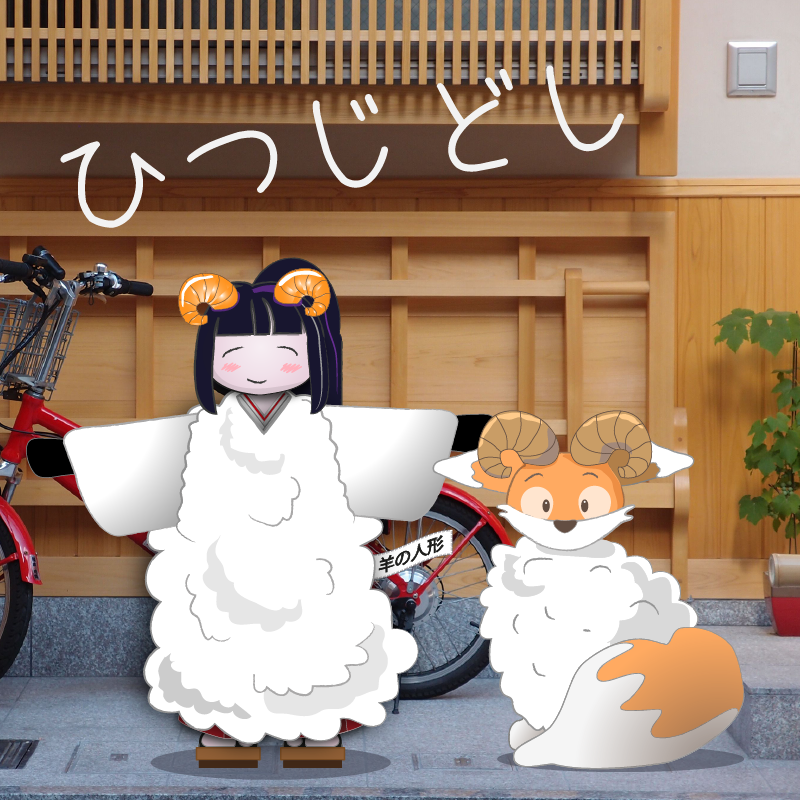 However, some notice is taken of the Chinese zodiac, and Miko and Kiku have noticed that because this year is the year of the sheep, and sheep are cute, there have been many sheep related kawaii items and cards. Many of the new year cards for the beginning of January had sheep characters on, and there was even a postage stamp with a sheep on, wearing a scarf he started for the last year of the sheep – 12 years ago! During the January new year period, they also noticed quite a bit of sheep cosplay – where people dress up in anime or other costumes, often in groups. 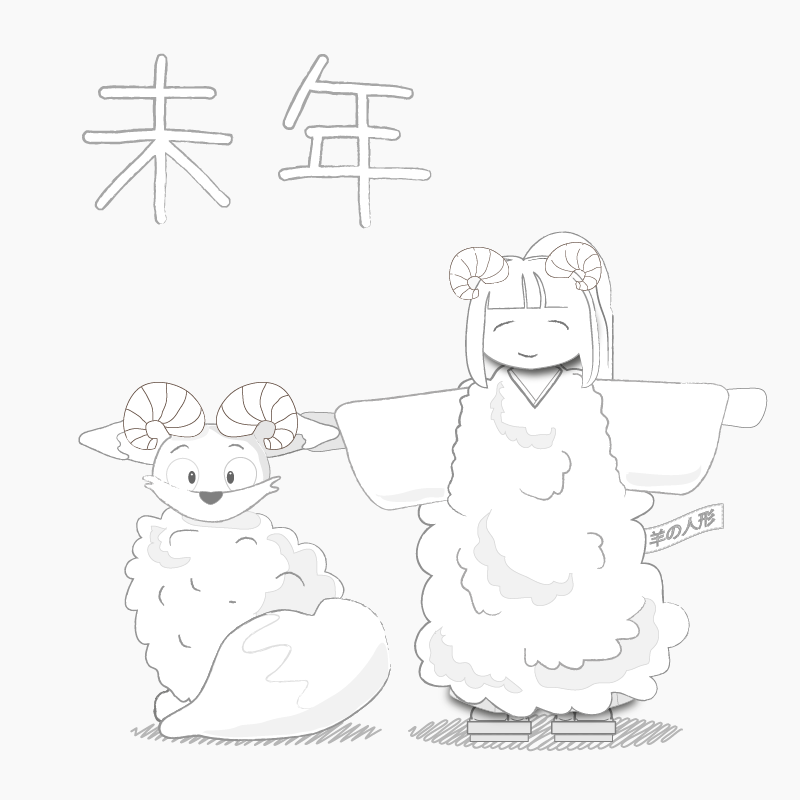 So – here are Kiku and Miko-chan having a bit of fun as sheep!